Six years ago the University of Texas at San Antonio (UTSA) decided it was time for the university to have it's own football team and collegiate marching band. In a the state of Texas, marching band is no joke and UTSA had many students whom had marched in high school. They just needed to find them. With a budget set and a Director on board the Spirit of San Antonio took the field for the first time in 2011. Since that first season they have grown to over 260 members and can stand their ground against any band in the country. Today they will march in their first ever bowl game. For many bands the bowl game is the icing on the cake of a season. It includes free swag, a plane ride across the country, 3-4 nights of pretty much vacation and of course a chance to march against another great band from somewhere else in the country that the band rarely would see in person. 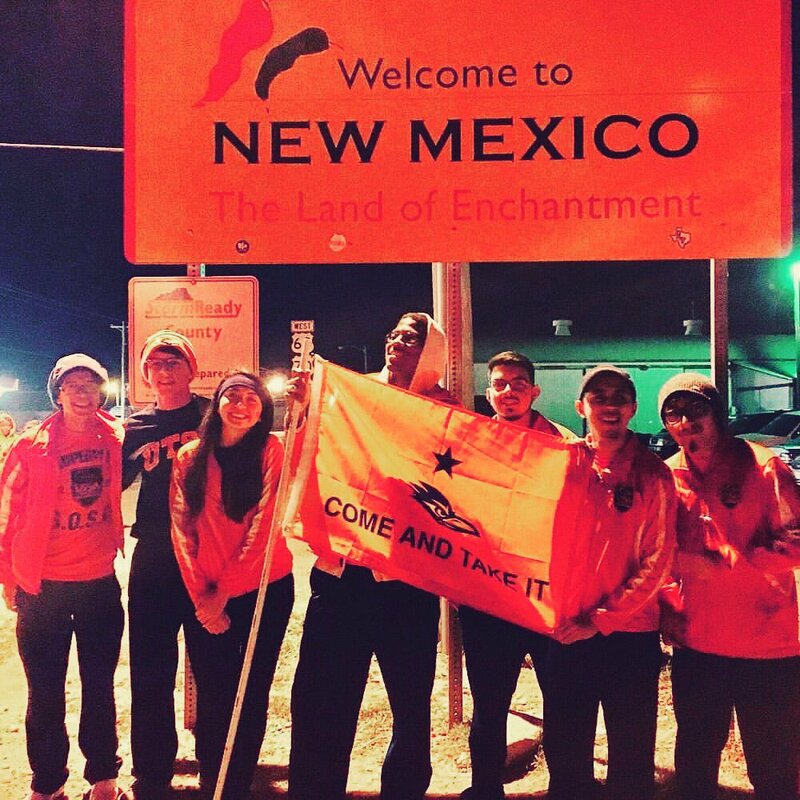 For some of the members this trip is their first ever band trip out of the state of Texas in their entire life. We had the pleasure of visiting them earlier this season and were able to experience their power and precision first hand. We've visited a bunch of college bands in Texas and we can say without hesitation that the Spirit of San Antonio is the rising star of the state. They will take the field today in the Gildan New Mexico Bowl against the New Mexico Lobos and since their arrival in Albuquerque they have already made quite the impression. Imagine what this band will be able to do in another six years. Enjoy today Roadrunners and cherish every moment. You will never forget your first bowl game and this one also being the first ever for the school means you will be forever be part of history.